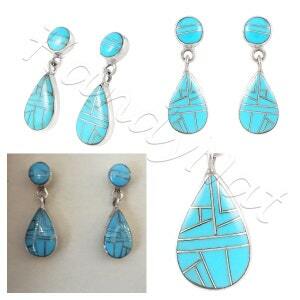 Make a lasting impression in your accessories. 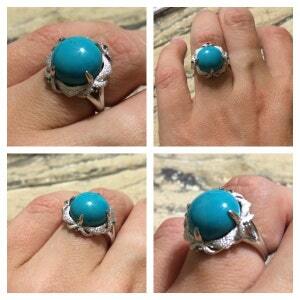 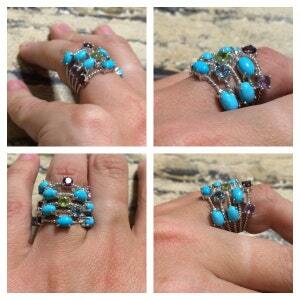 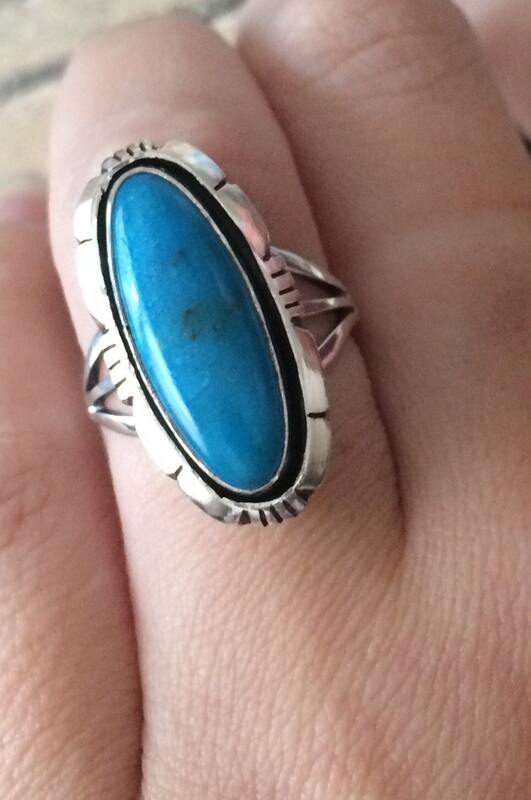 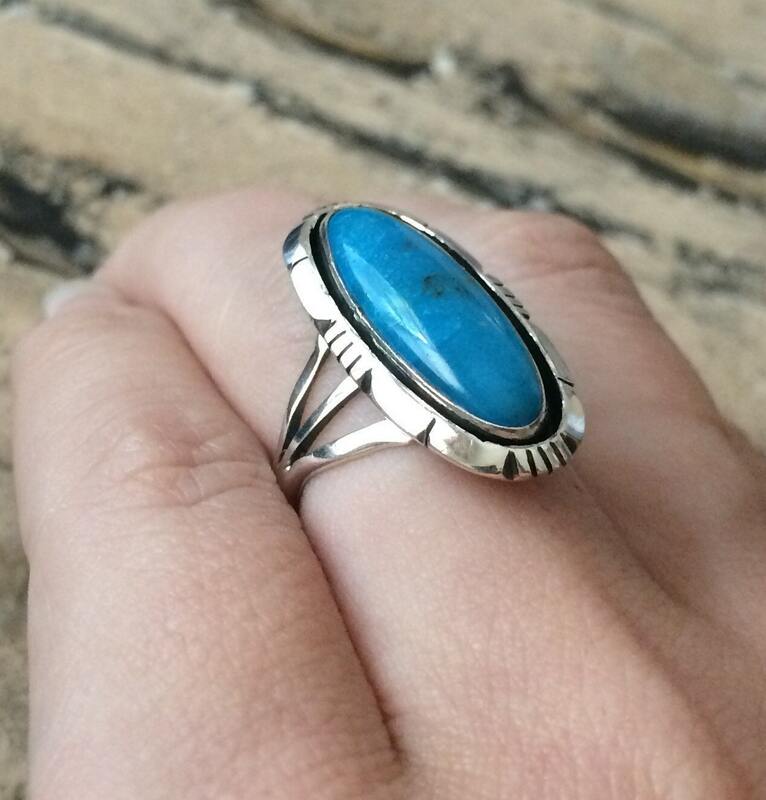 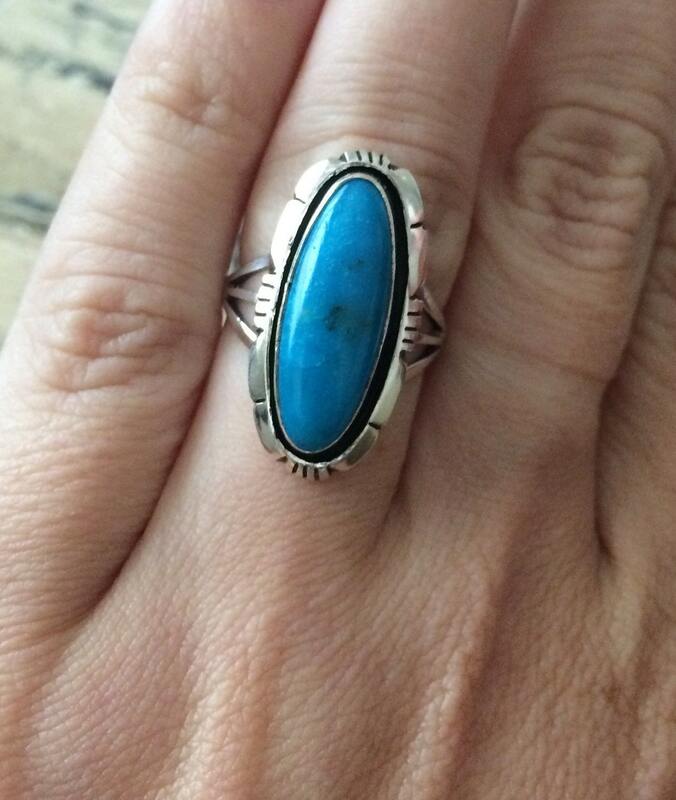 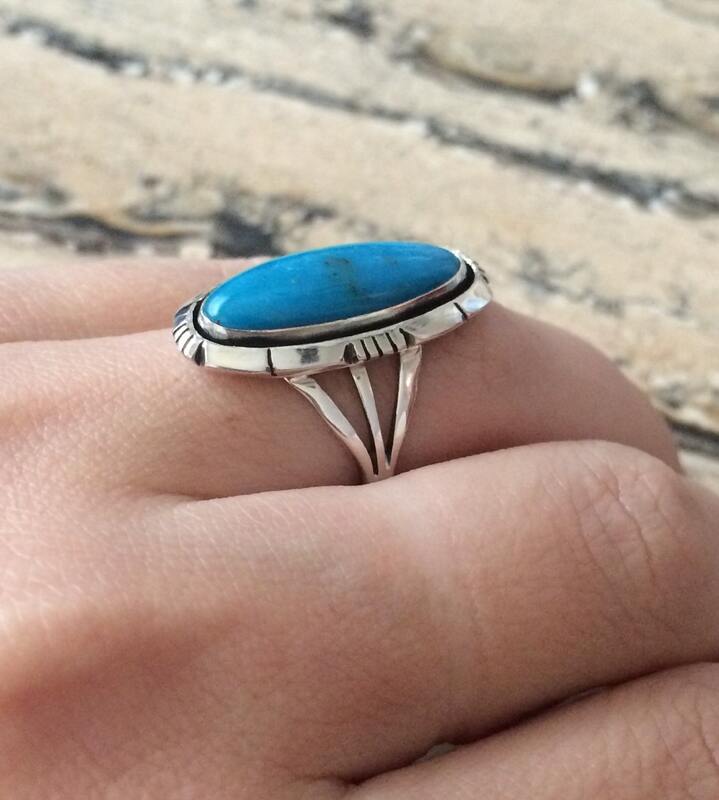 Crafted from sterling silver, this split shank ring features turquoise cabochon atop an etched elongated design. 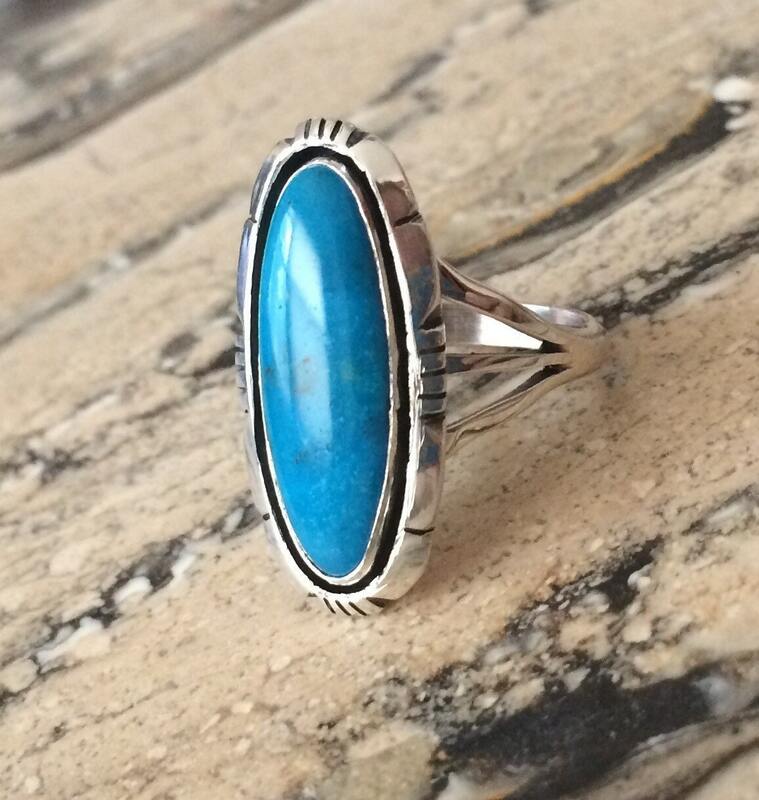 You can't go wrong with a piece like this! 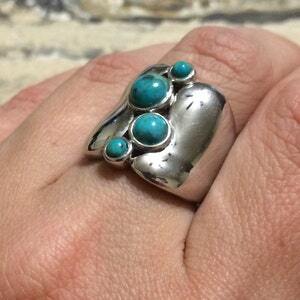 SIZE -7 ONLY ( not sizable).